BitTorrent’s uTorrent app, the default client for downloading via the peer-to-peer file sharing network, has been sorely lacking in updates over the past few years, but clearly, the firm has not been twiddling its thumbs. 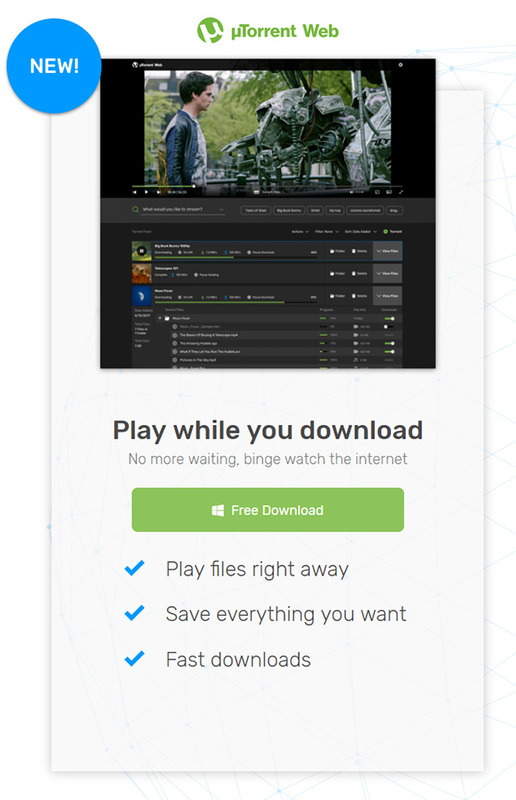 While the desktop client has been left wanting, BitTorrrent has now quietly rolled out its new uTorrent Web software, a web browser-based version of the app that has one big feature up its sleeve – it allows the streaming of torrents. While the name may suggest that uTorrent Web is a web-based application, that is not strictly accurate. Users download the uTorrent Web client and install it – it’s Windows only, currently – and then, when they click a magnet link or a torrent, they are automatically opened by the uTorrent Web client in a browser window with support for Chrome and Firefox built in. This means that users can continue to use their favorite torrent sites, click a link and have content streaming almost immediately. In our short time using it, it worked well. The streaming of video is obviously the highlight here, and importantly, that also works just as advertised. While BitTorrent appears to still be offering the standard uTorrent client alongside uTorrent Web, it’s surely only a matter of time before the original app falls by the wayside. Regardless, for now, we suggest using uTorrent Web at web.utorrent.com, if only because it’s clear that this is the version that will continue to receive the most development. Plans for a Mac version ? Just use Itransmission for iPhone. Works like a charm and it’s free too. We talk about desktop version.